The Congressional Black Caucus Foundation's Transportation Braintrust was conceived over 20 years ago to provide a forum during the CBCF Annual Legislative Conference (ALC) for the top-level exchange of information and ideas between key leaders and experts in the transportation industry. 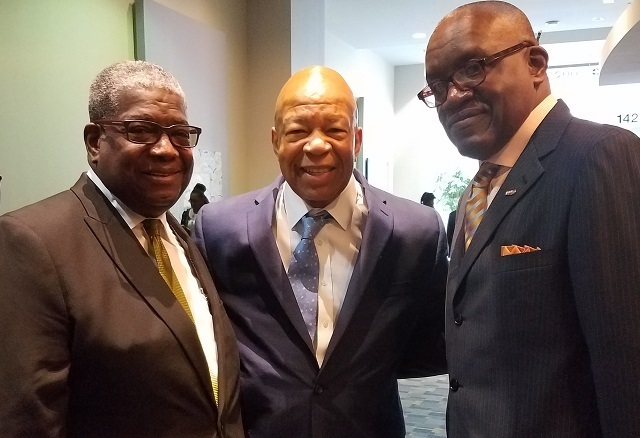 Since the turn of the century, the program has grown significantly under the guidance and sponsorship of U.S. Representative Elijah Cummings (D-MD) and COMTO leadership. The Braintrust brings together the best minds and brightest thinkers in the field to discuss issues of particular relevance to the collective peoples of color in transportation, including economic development, community participation, public safety, universal access, and business opportunity. These experts come together annually and represent both a consolidation of the public and private sectors and a collaboration of diverse disciplines in the transportation industry. The free flow of thought-provoking questions and subsequent discussion of the issues in a public setting can lead to an ongoing dialogue among all stakeholders. This will significantly assist the COMTO leadership in its efforts to both develop a consensual agenda and devise a strategic plan for Chapters and the membership at large. Each year, the Conference of Minority Transportation Officials (COMTO) partners with the Congressional Black Caucus Foundation (CBCF) to present the annual Transportation Braintrust.